Recently we’ve been here, there and everywhere. I was looking forward (well, kind of) to a weekend at home sorting the garden out, but when we were offered the opportunity to visit Hampshire once again and spend a long weekend in the New Forest with the kids I couldn’t say no, even though my husband was away and it meant going it alone with the children. I mean, what could go wrong, right?! 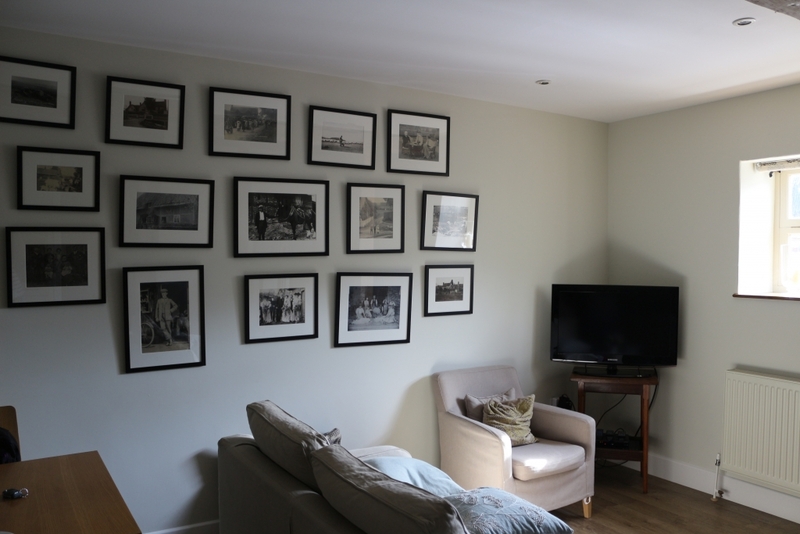 We were asked by Hideaways UK to review one of their holiday home properties, a converted stables called The Tallet, part of Manor Farm in Rockbourne, near Fordingbridge in the New Forest. Upon arrival, Manor Farm (a working farm) was well signposted. Following the instructions I’d been given, I easily found the huge gravel driveway which provides parking for The Tallet and the larger property next door, The Stables. 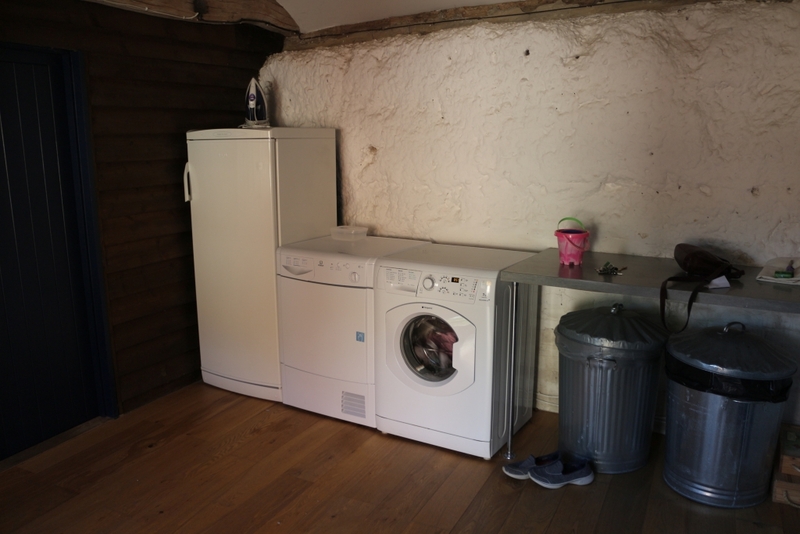 Entry was directly into a large porch/utility area with washing machine and tumble drier and a massive fridge; perfect if you happen to be staying for longer than a weekend and great for families with bikes or buggies. I was really pleased to open the door and step into in to a nice clean cottage with a whole lot of rustic charm. 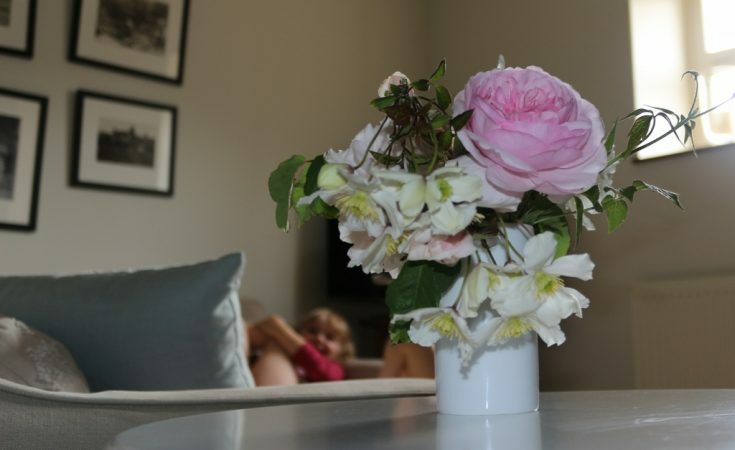 It has been beautifully renovated with the timber beams on show, and the owner clearly takes pride in presenting it well; for instance there were fresh flowers on display and lovely Cath Kidston tea towels in the kitchen. 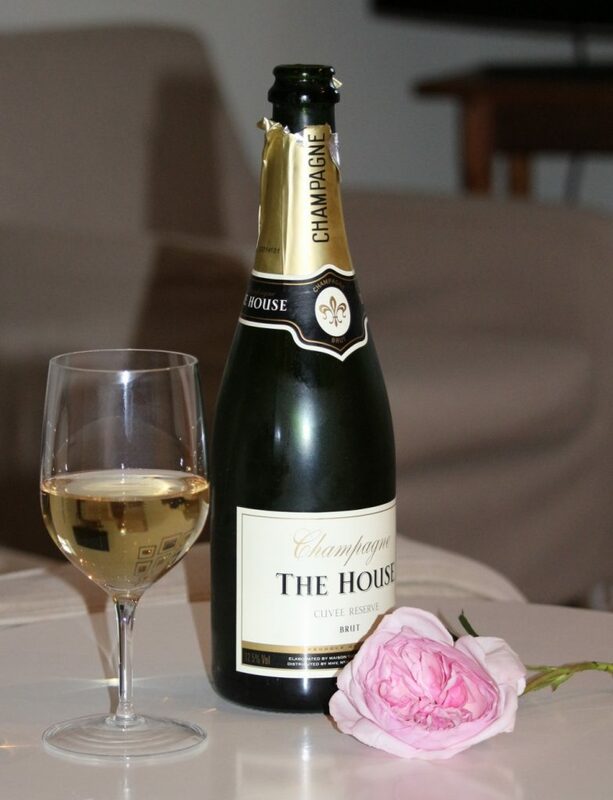 I was even more pleased when I opened the fridge to discover a bottle of champagne! Meanwhile the children busied themselves with collecting all the towels into a pile and opening all of the mini soaps (sorry). 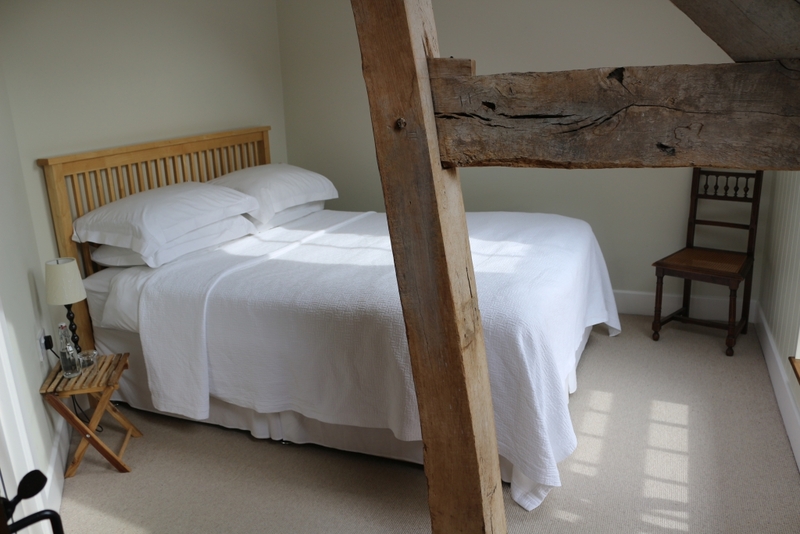 The Tallet has two double bedrooms, one of which had been set out as a twin room. It would be a great holiday home for a family of three or four visiting the New Forest, although the wooden stairs and high beds probably mean that the children would have to be preschool age at least. Obviously mine are, so this was perfect! 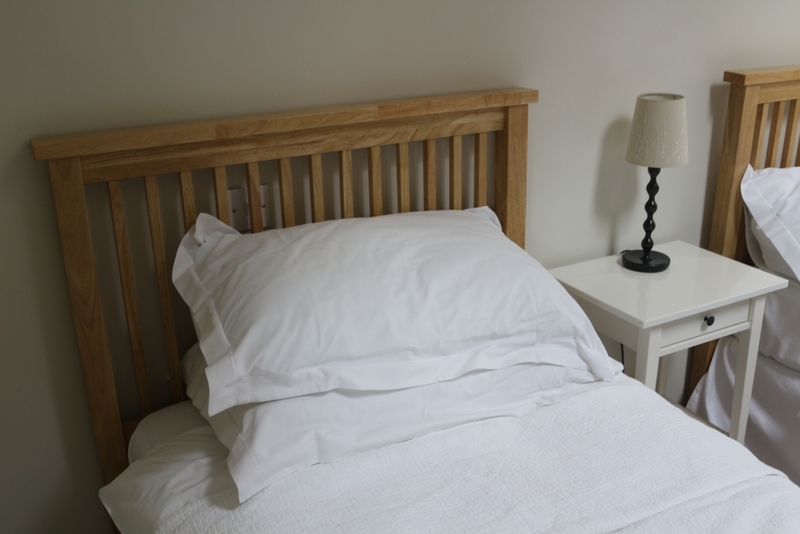 Both bedrooms had lovely clean linen, fluffy towels and robes and most importantly, very comfortable beds. 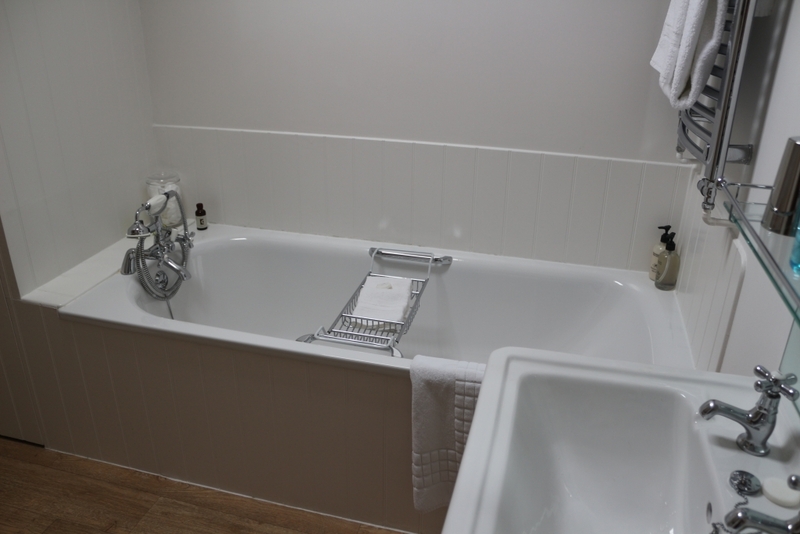 There is an upstairs bathroom as well as a very large toilet/shower room downstairs. There is a dining area, a lounge with sofa, two seats and a television, and even a barbecue and outside seating so you can eat al fresco. Everything in The Tallet is clean and in very good condition. The kitchen, which has an oven, dishwasher, microwave and all equipment you’d expect in a holiday home, was well stocked with tea, coffee and sugar. The only thing we couldn’t find was a dish large enough to make a pasta bake for six people, but I concede this probably doesn’t come under ‘necessity’ in a four person holiday cottage. You can even take your dog, but to be honest I wasn’t quite up to the two children and a dog challenge. This is almost a shame because everything in the local area is dog friendly – even some of the the attractions have kennels so you can take your dog along. It is probably a good job that I didn’t take him as there are signs saying no dogs upstairs, and Riker can’t read. 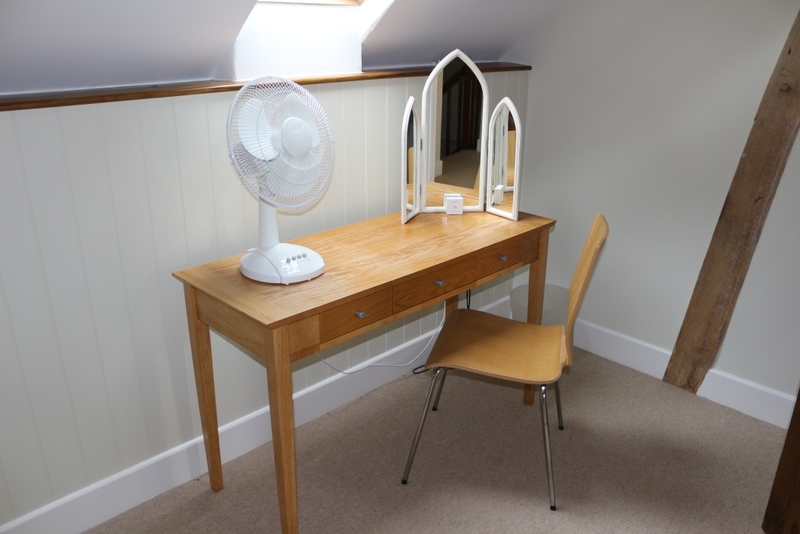 In terms of local amenities, there are shops abut 15 minutes away in Fordingbridge, and a lovely traditional country pub – The Rose and Thistle – just at the bottom of the the road. It’s very dog friendly – I think there were possibly more dogs than paying customers – and they do serve food at peak times although judging by the number of people there early on a Friday evening I’d certainly book if going there to eat. 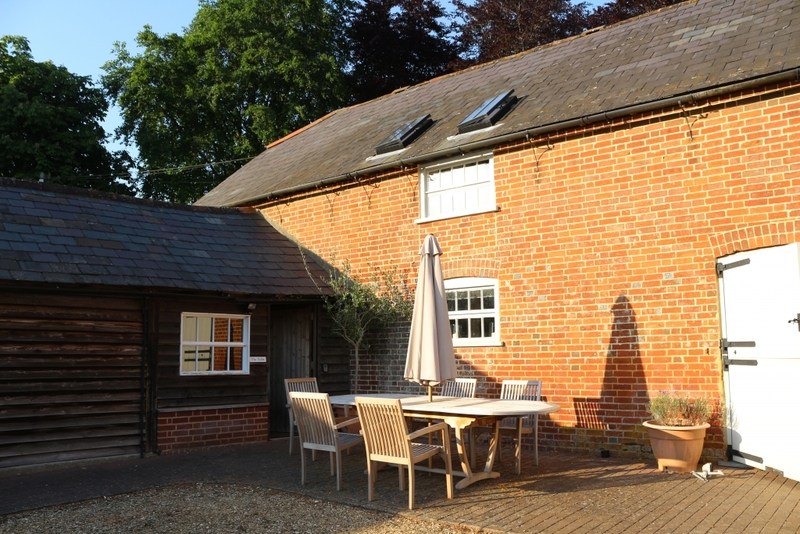 The Tallet holiday cottage was also perfectly situated for exploring, being just 30 minutes from Bournemouth and 15 minutes into the heart of the New Forest. 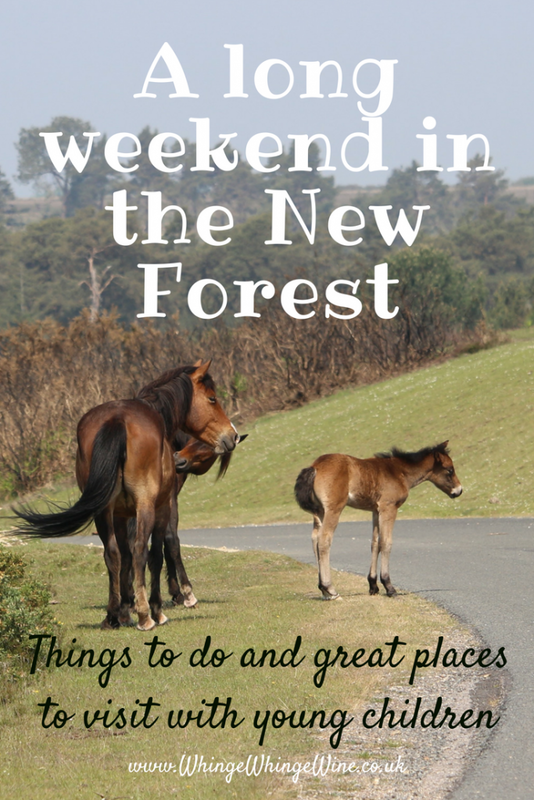 This is what we got up to on our stay in the New Forest! 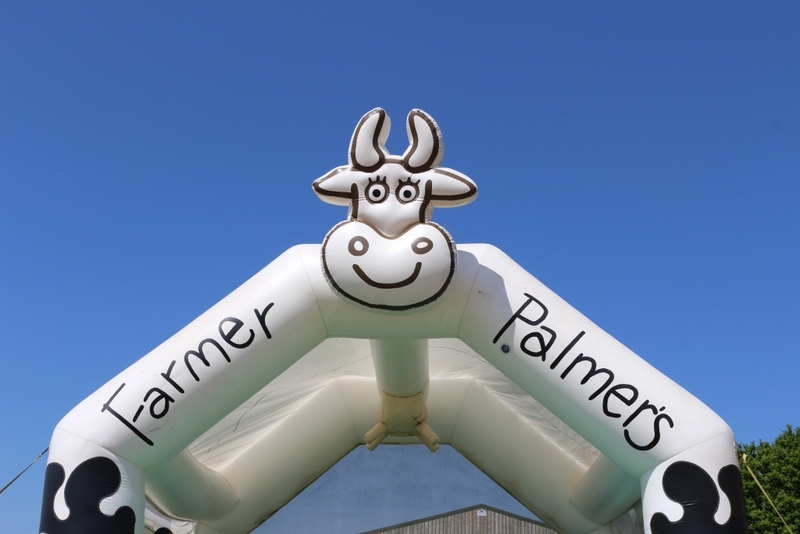 Around 45 minutes’ drive away from Rockbourne in Dorset is Farmer Palmer’s farm park; a day out aimed at children 0-8 but absolutely perfect for preschoolers. 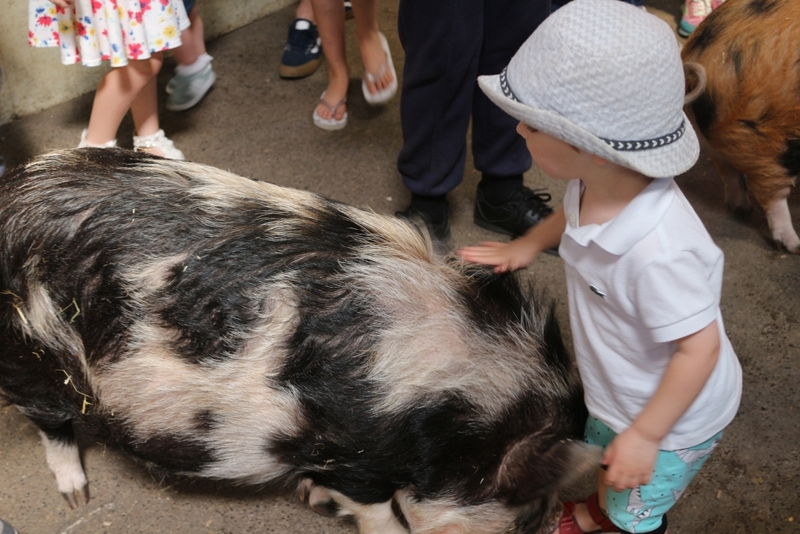 We could have happily spent the whole day there watching and meeting the animals, playing in the large sandpit playground, on the bouncy castles and in the soft play area. Here is our review, and you can find details on their website here. Of course if the weather is great then it’s almost obligatory to stop at the beach! 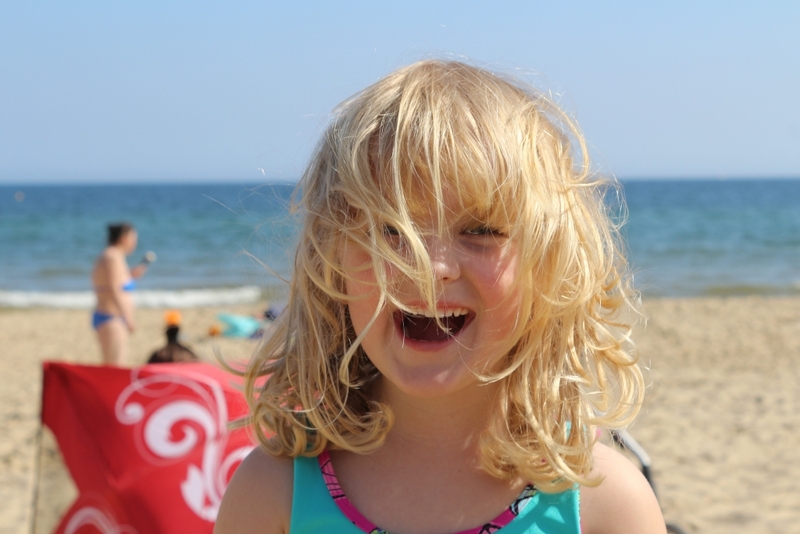 We actually parked at Durley Chine – to the west of the main beach and consequently less busy – and spent the late afternoon and early evening paddling and playing on the sand, and it was only half an hours’ drive home. 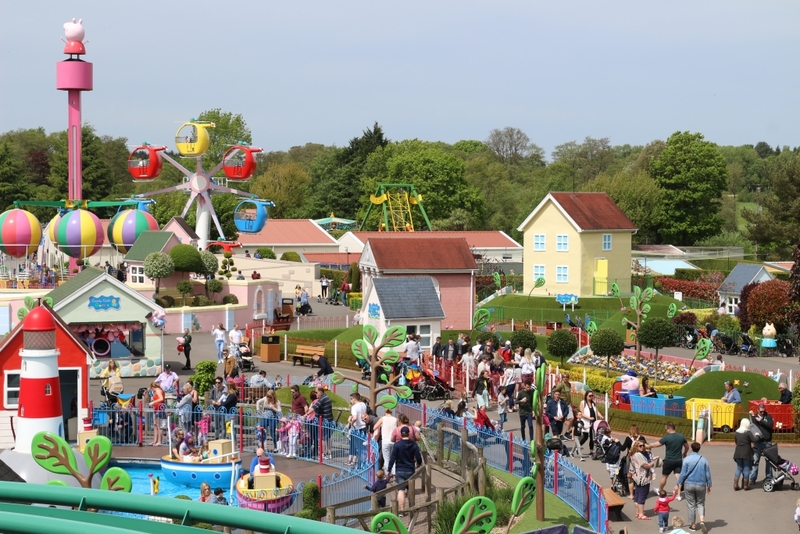 We didn’t actually go to Paulton’s Park and Peppa Pig World this time, having been just last week (I’ve only just got the tune out of my head! ), but it is just over half an hour away and well worth the visit – see our full review here. Driving to The Tallet in Rockbourne took us right through the heart of ‘pony country’, where horses and cows can be seen roaming very close to and even on the roads. 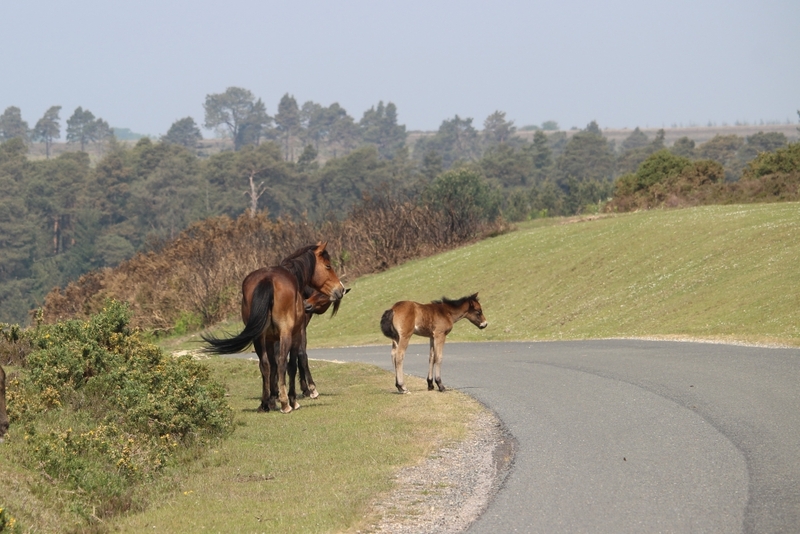 If you want to get out and view the magnificent landscapes or have a forest adventure, there are no shortage of car parks within New Forest. Some of the car parks have toilets and other facilities so that you can take a picnic and make a day of exploring the forest. Here is a list of the car parks. 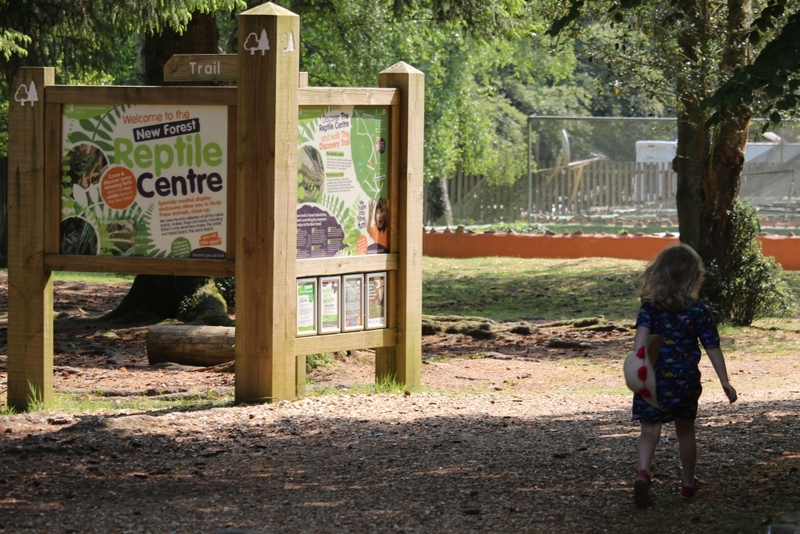 We popped into the New Forest Reptile Centre where we met some local snakes, lizards, frogs and toads before having a picnic and exploring the woods a little. It isn’t an all day thing but the centre itself (which is outside) will keep children entertained for a while and there toilets and picnic tables. I must say that despite being outnumbered, I really enjoyed our weekend away in the New Forest staying at the Tallet, Manor Farm in Rockbourne. 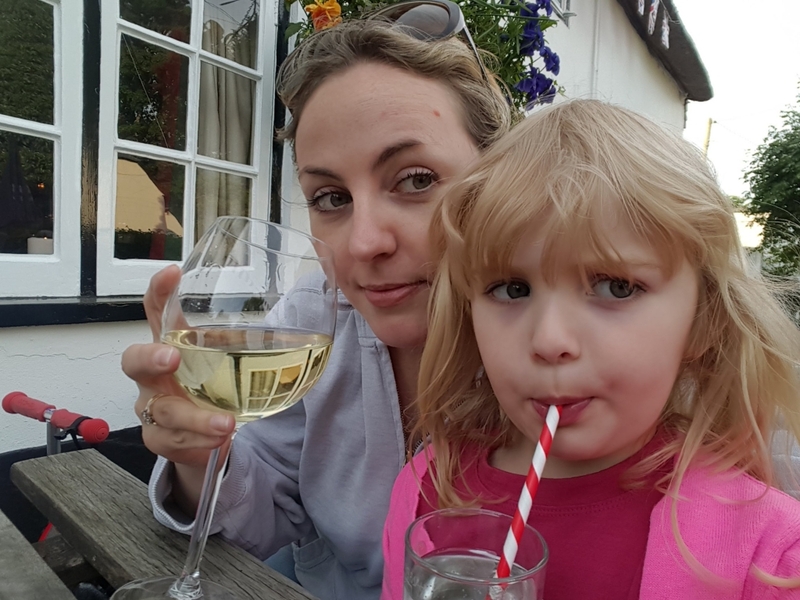 I would not hesitate to stay there again- with my husband and dog this time – or recommend it to anyone visiting the New Forest with kids of a similar age. We had a great time. We were fortunate to be offered this stay free of charge for the purposes of this review. 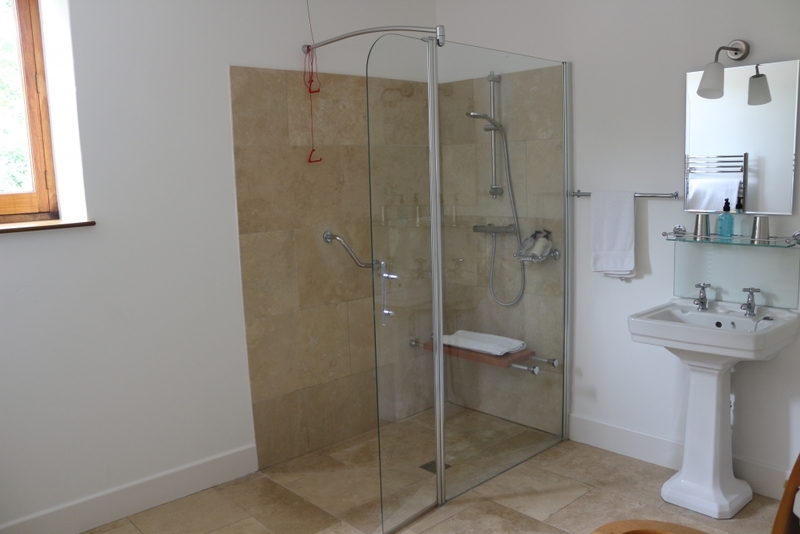 Hideaways specialise in country and coastal holiday homes. To see their properties and prices, check out their website here. Follow on Twitter or Facebook.